1992-94. Oil on canvas. 24" x 36"
In 1991 I was itching to do some oil painting—all I needed was a subject. 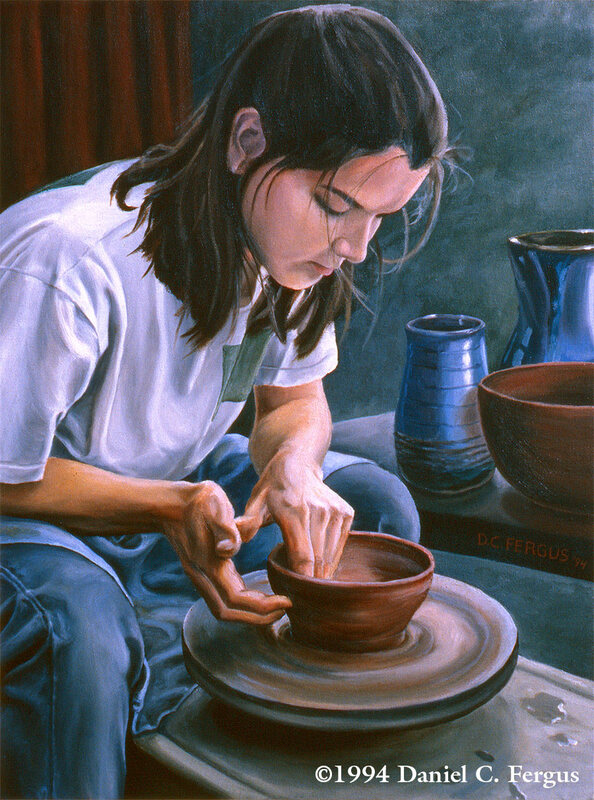 Watching my friend Cindy throw on a pottery wheel inspired me to do this portrait of her. The two blue vases on the right are actual pieces she made for me (though I enlarged them for compositional reasons). Even though I started this piece in January 1992, it took me until 1994 to finish it. Shortly after I started it I met a woman (Julie) and fell in love. What can I say? I got distracted. Art became a lessor priority for a while.